Anji HengBang Bamboo & Wood Industry Co., Ltd.
Anji HengBang Bamboo & Wood Industry Co., Ltd. lies in the famous China Bamboo Home — Anji County. It's 200 km to Shanghai and 70 km to HangZhou , the transportation is very convenient. 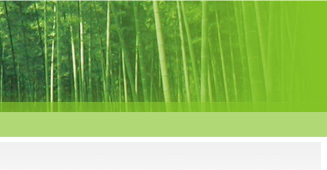 We have engaged in making bamboo products for 26 years. Our factory covering an area of 8000 sq.m, an have a staff of 300 employee. All the products are made to the standard of ISO9001. The current main products include bamboo blinds, bamboo mats, bamboo table mat, bamboo cushion, etc. Adhering to the principle of “ High quality, best service, constant innovation ” , our products are distributed to America, Europe, Japan, southeast Asia and Canda, and we have won a high reputation among the clients. Copyright　©　Anji HengBang Bamboo & Wood Industry Co., Ltd.　All Rights Reserved.